1. Chanukah is approaching... and that means leopard season! The sample chapter from my forthcoming Torah Encyclopedia of the Animal Kingdom, about leopards and Chanukah, can be downloaded at http://www.zootorah.com/encyclopedia. Note that I have made some changes based on feedback from last year. Each section now has a subheading, describing whether that section relates to natural history, identification, symbolism, etc. What do you think? Also, if you are a professional user of Adobe InDesign, I would like to hire you for a consult! 2. This July, you can participate in the ultimate Zoo Torah experience - a safari in Africa! It will include private game reserves, a riverboat safari in Chobe, Victoria Falls, Cape Town, and much more, all accompanied by fascinating lectures on the animal kingdom in Jewish thought. 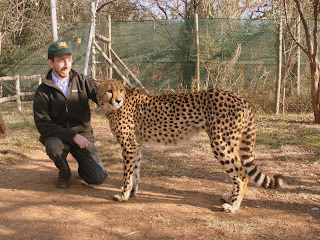 For details, see http://www.torahinmotion.org/programs/live_program/5440, or write to info@torahinmotion.org with the subject "Rabbi Slifkin African Safari." 3. I am currently planning my lecture tour in the NY region for early February. Both of my Shabbatot are booked (West Orange and Plainview), but if you are interesting in having me speak at your shul/ college/ school during the week, please write to me at zoorabbi@zootorah.com. 4. If you're visiting Israel (or fortunate enough to live here), don't forget that you can enjoy the Zoo Torah Experience at my private mini-museum in Ramat Bet Shemesh. Details at http://zootorah.blogspot.co.il/2011/10/zoo-torah-experience.html. 6. My www.ZooTorah.com website is currently being redesigned. It's going well, but we are having a hard time coming up with a good design for the header logo. Here's what I came up with, but it needs improving, including making it transparent so as to show up well on a dark background. If you're a Photoshop pro, and you can improve it or come up with something better, that would be great! Isn't that a cheetah in the picture? The subheading is a great idea!! 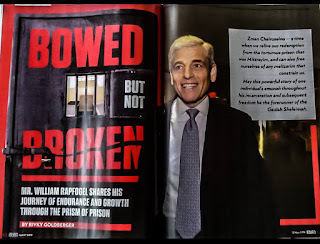 It's an honor to have my shul window photo included in this chapter. Glad I could be of service, and thanks for the credit! Now I can tell my friends that I'm in an animal encyclopedia. R' Natan, thanks for making the leopard chapter available on-line. It is well written, informative, and beautifully illustrated. I look forward to buying and reading the books as they appear in print. To the first two commenters: The picture of the cheetah was next to the paragraph about the safari, not next to the paragraph about the leopard. How do you pet a leopard without it biting you? Aren't they wild? @Carol: Yes, they're wild, but that doesn't necessarily mean angry. As I understand it, most cats, large and small, have similar personalities. If they are not hungry, hunting, or threatened, they like to sleep and play. The danger with large cats is that they, like housecats, like to play using their teeth and claws. A playful swipe from a housecat will, at worst, create a bad scratch, but that same swipe from a big cat can be fatal. I've had the opportunity (in an educational context) to pet a lion. They seem to like it just as much as little cats do. @R. Slifkin: The logo's not bad. If you're still looking for ideas, here's an idea. How about the stereotypical Jewish icon of two lions rearing up against an image of the Two Tablets? If it is drawn using pictures of real lions instead of a stylized artistic form, it might work.